Aboriginal and Torres Strait Islanders with breast cancer die five years earlier than non-Indigenous Australians. 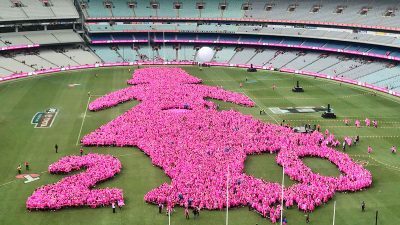 Cancer Australia says 17,586 Indigenous women and 144 men will be diagnosed with breast cancer in their lifetime. On average around two Aboriginal or Torres Strait Islander people are diagnosed with cancer every day. In an effort to assist Australians diagnosed with breast cancer and improve their journey, Breast Cancer Network Australia (BCNA) has been empowering fighters and survivors of cancer for over 20 years. BCNA’s Community Engagement Manager Jane Moore highlights the role of BCNA and its interconnected nature with breast cancer patients. BCNA has a special relationship with Aboriginal and Torres Strait Islander men and women who have been diagnosed with breast cancer, incorporating projects such as Culture is Healing to create a safe haven for patients and allowing them to connect to culture during their treatment process. 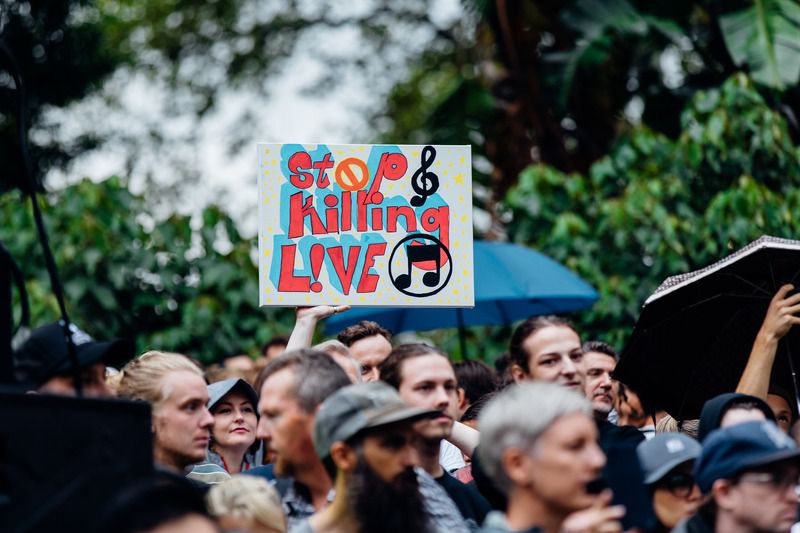 that the decisions around the project are determined by the Aboriginal community. From the artwork that is created to the people and community organisations who are involved, the projects are unique to their local area. 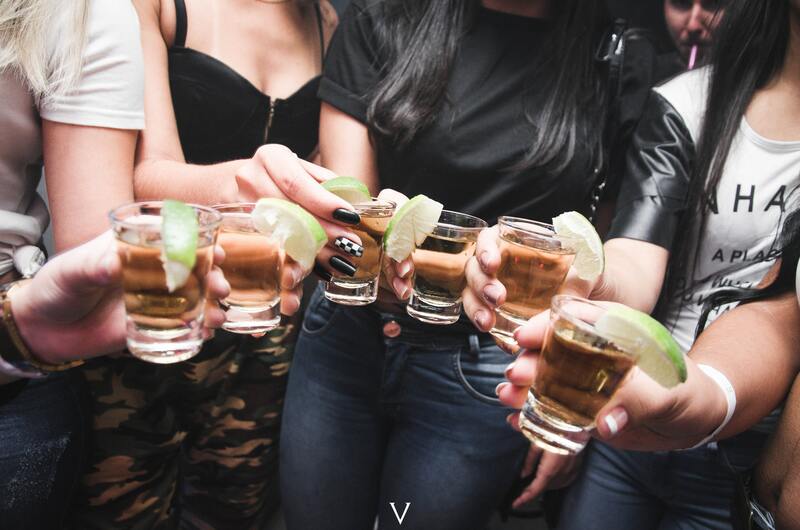 What we know from the projects is the women who have attended have told us that they felt empowered to share their stories with their community, that they felt like they were no longer alone. Breast Cancer Network have numerous programs, groups, and events for Aboriginal and Torres Strait Islander people to create a sense of community and support for those affected by breast cancer. 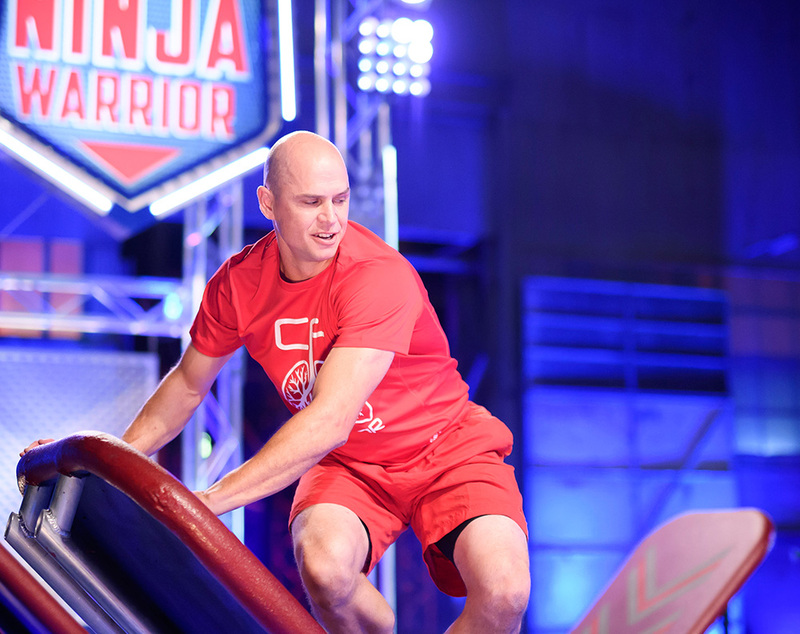 Moore explains the most recent activities that BCNA have held to bring everyone together around the nation. 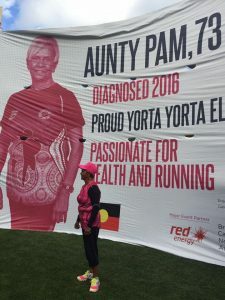 Aunty Pamela Pedersen is a Yorta Yorta elder, avid BCNA supporter, and breast cancer survivor whose journey began in May 2016. ‘Prior to myself being diagnosed with breast cancer I always had my check up when I received a letter from Breast Screen. On this particular occasion I went for my normal check up and then about three weeks later I received a letter requesting that I contact Breast Screen as they wanted to speak to me in relation to myself. I made an appointment and went to St. Vincent’s Hospital and had another mammogram and then it was noted that I had two lumps in my left breast. This diagnosis was in May 2016 just before Mother’s Day. I took part in the Mother’s Day event which I have done for the past 21 years without missing a year. I am very proud of this. ‘My thoughts in relation to this diagnosis was such a shock but I was told by the Victorian Health Service that I could get breast cancer because I was on hormone replacement tablets. 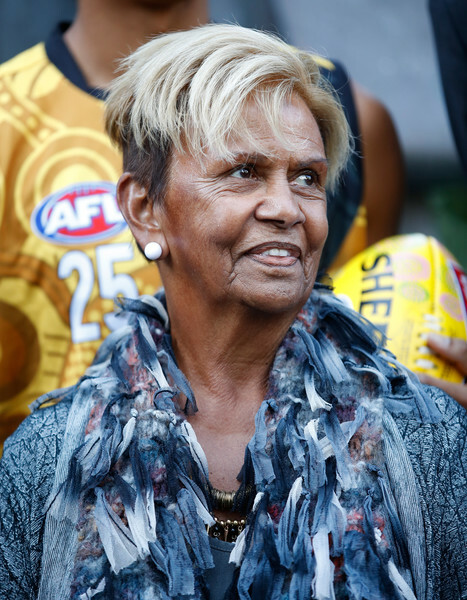 Also at the time I was very busy helping to organise the first round of the Dreamtime game which was named in honour of my father Pastor Sir Doug Nicholls so I didn’t have time to be worried about myself having breast cancer which I also said to the Surgeon. “You will have to wait as I am busy organising with AFL the football game after dad”. To me this was priority and everything else was next. The Surgeon and his nurse were quite amazed that I had this attitude but I thought too bad, the footy game was more important than me. I said you will have to wait until the game is over because I am too busy to be worrying about an operation and that I would have it when I am ready. Aunty Pam’s strength and determination was an admired element of her, and did not go unnoticed by Breast Cancer Network. ‘Since my diagnosis I was approached by Amanda McMahon who was working with BCNA and she invited me to take part in the BCNA event which was being held on the MCG. This was a wonderful event and I met up with other cancer survivors who also took part in this event. We had huge big banners made with us appearing on them which I thought was quite amazing and it made me feel very emotional. We all wore beautiful pink singlets which had Aboriginal design and our clan names on them, mine being Yorta Yorta which is in the Shepparton/Echuca area. 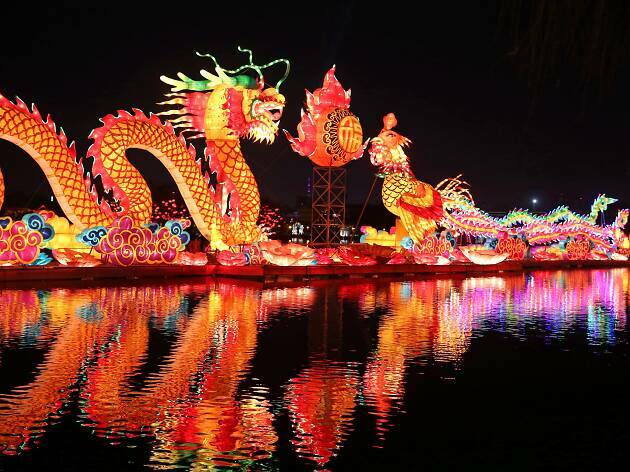 ‘After that I became involved in a few events which BCNA were having. Since my involvement with BCNA I have noticed the tremendous work which they do in helping breast cancer survivors and letting people know how to get help if needed. Aunty Pam at Pink Lady Match 2017. Source Aboriginal Health Twitter. 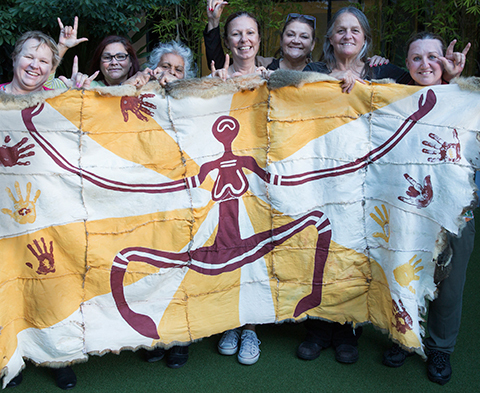 Being involved in the Culture is Healing projects at BCNA and the making of the possum skin cloak was a treasured experience for Aunty Pam, which she described as being ‘a highlight’ during her journey. The possum skin cloak is available at Peter MacCallum Centre for Aboriginal and Torres Strait Islander patients undergoing treatment, it is seen as a source of healing. Aunty Pam has also partnered with Peter Mac to assist her community and ensure they receive the upmost care. Aunty Pam has her own way of healing, and describes being close to home as her ‘medicine’. She has also set goals for herself to achieve in the coming years. ‘I have my culture and culture is everything to me to get me through at times. I am so glad that I have moved to Shepparton as this is my country and where my family come from. When I am home on country I just love it as this is my medicine. I go to Cummergagunja which is our Mission and I visit my dear cousin who is 94 years old. She has an amazing memory and tells us stories about old times and what they used to do. I like to visit the cemetery and pay my respects to mum and dad, my brother Ralph, and many of our relatives who are buried there. ‘To me this is my medicine and nothing can beat being home on country and having the feeling of your people when you are down on the river or visiting the cemetery on my own which I just love. 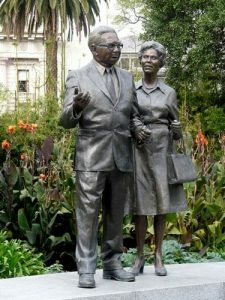 I also like to visit my parents statue at Parliament Gardens next to Parliament House and share stories with them too of something which could have upset me or something exciting which has happened. Amy and Stacy Parry are proud Gamilaraay women who were born and raised on Darkinjung country (Central Coast, NSW). The twin sisters completed BCNA’s Outback Adventure ‘to raise awareness of breast cancer in Aboriginal communities’. The Parry’s talk about their experiences with breast cancer in the family and how this created reason to select and complete the Larapinta Trail. ‘In 2015 our mother was diagnosed with stage 4 breast cancer requiring a treatment plan of two surgeries, chemotherapy and radiation. Today she requires daily medication, ongoing check-ups, scans and is still overcoming the effects of cancer treatment. During this time two very special family members, our beautiful aunt and talented cousin were also diagnosed with cancer. They both fought hard battles but sadly passed. ‘Prior to our mum and families diagnosis we were unaware of overall cancer statistics within our Aboriginal communities. We didn’t realise breast cancer was the most common cancer diagnosed within Aboriginal and Torres Strait Islander women and that it is the second leading cause of cancer death in our women (after lung cancer). There is endless promotion of heart disease and diabetes within our communities but limited information on cancer and the importance of early detection. My mother, sister and I want to be drivers in getting this extremely important message out to communities. ‘We specifically selected the Outback Adventure, Larapinta trek due to BCNA’s commitment to better supporting Aboriginal and Torres Strait Islander people affected by cancer. Our participation in this adventure helps to ensure Aboriginal people will have access to information and support to help reduce these disparities in outcomes. The sisters see the experience as a great accomplishment that was an amazing, life changing and humbling experience. The pair have received an overwhelming support during their journey and Amy explains the impact of their story when shared on media platforms. The sisters were called ‘Team Ngamu’, a word drawn from their community’s language and saw this opportunity as a great way to represent Gamilaraay. Currently, there is nothing on the Central Coast to support Aboriginal communities who have been diagnosed. Amy and Stacy’s participation in supporting BCNA has granted them the opportunity to deliver a Culture is Healing project in their community. ‘We will be working with Eleanor Duncan Aboriginal Health Centre and Nunyara Aboriginal Health Unit, Central Coast Local Health District. We hope this project will continue to provide opportunities for a variety of projects or programs for our women who are diagnosed with breast cancer in the future. If you would like to support Team Ngamu and raise funds for BCNA, please donate here. I am D*Scribe's Deputy Lifestyle Editor! You will see me covering mostly lifestyle topics such as travel, fashion, and culture as well as current affairs. I am hoping to pursue a career within a media and communications team for a non-for-profit organisation.